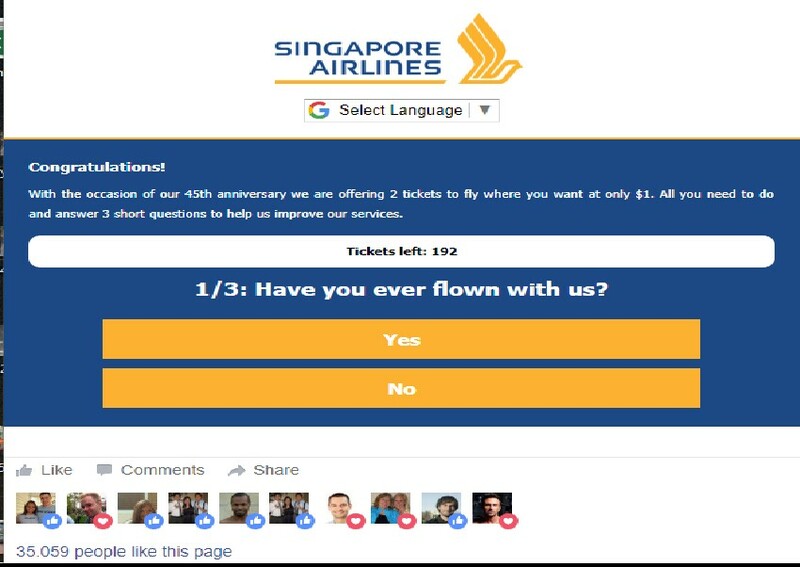 Beware of fake Singapore Airlines website that offers $1 air ticket prices for two. 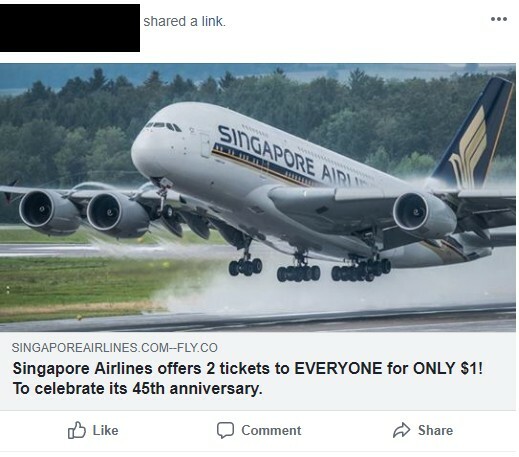 The deceptive post claims to be from Singapore Airlines giving away dirt cheap air tickets to celebrate its 45th anniversary. Facebook users are warned not to click on this link as it normally leads to web pages that will either steal your Facebook credentials and post on behalf of you to spread the scam or to make you key in your credits card information to purchase the “$1 air ticket”. We all know what happen next after entering the credit card info. Next Article SIN MING NTUC CAUGHT SELLING EXPIRED SAUSAGES!! !